Art and design culture acts in direct correlation and response to the situational context from which it has arisen, exemplifying a visual barometer of social and political change. Indonesia’s rich history of social and political reform and unrest through Dutch occupation and authoritarian rule has had an immense influence upon the nation’s art practice. In its present development into a post colonial, democratic nation, Indonesian art is a reflection of the delicate balance between western and traditional ideologies and the assimilation of both within the realm of contemporary art and design. Prior to the 19th century, Indonesian art was predominantly decorative, with spiritual connotations – a reaction to international traders and the introduction of religions such as Buddhism and Hinduism and later Islam (Soemantri 1998). After several centuries of Dutch colonization, western influences became most prolific upon Indonesian art during the 19th century. Indonesian painters delved into art movements dominating Europe at the time, adopting Romanticism in their approach (Wright 1994). 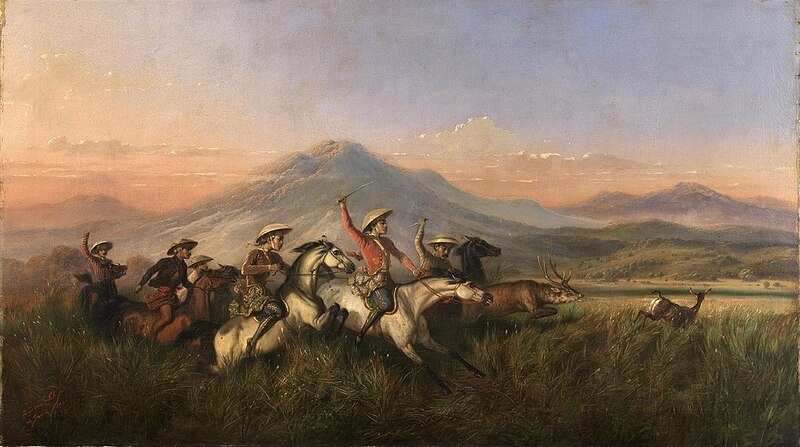 Talent flourished and indigenous Indonesian painters such as Raden Saleh, were likened to famed French Romantic Eugène Delacroix, despite their contextual opposites. In the early half of the 20th century, Indonesia underwent a growing sense of nationalism. Japanese occupation replaced Dutch reign briefly during WWII, and encouraged Indonesia’s independence movement. Throughout this revolutionary period, artists rejected former Eurocentric practices and as Wright puts ‘instead of duplicating western artistic developments and concerns, modern Indonesians were, after four centuries of increasing colonization, preoccupied with questions of nationalism and identity.’ Artists and writers began to form Sanggar (artist groups) that adopted socialist realism and produced radical egalitarian themed works that exposed the harsh reality of public life. In rise of the New Order Era in 1965, many participants of artist groups such as Lembaga Kebudayaan Rakyat (LEKRA) faced accusations of communist propaganda, and thus were killed or imprisoned. The Suharto era saw a dramatic political influence upon the nation, the New York Times stating ‘Suharto achieved stability and economic growth, but these gains were overshadowed by intense corruption, a repressive militaristic state, and “a convulsion of mass bloodletting.’ ­Despite penalties, artists continued to produce rebellious, anti-regimist works through satire and irony; ‘they were an avant-garde radically redefining art’ (Vickers 2013). An analysis of Indonesian art in the contemporary sphere requires an understanding of its unique contextual complexity that differs greatly from international and in particular, western paradigms. Art critique is governed by Eurocentric standards of conventional aesthetics as well as commercial potential. Thus, contemporary Indonesian artists face difficulties in attaining recognition as ‘art world institutions and officials posit a hierarchy of themes or motifs considered worthy of being celebrated in art’ (Wright 1994). Throughout history and even presently, art and design in Indonesia is representative of the nations developing democracy, its internal social and political context and in turn its extensive relationship with the international community. Dwi Marianto, Martinus. ‘Surrealist Painting In Yogykakarta’. PhD Philosophy. University of Wollongong, 1995. Print. Nusantara.com,. ‘Indonesian Heritage Series’. N.p., 2015. Web. 3 May 2015. Nytimes.com,. ‘Suharto Dies At 86; Indonesian Dictator Brought Order And Bloodshed – New York Times’. N.p., 2015. Web. 5 May 2015. Soemantri, Hilda. Indonesian Heritage. Singapore: Archipelago, 1998. Print. Vickers, Adrian. ‘What Is Contemporary Indonesian Art? – Inside Indonesia’. Inside Indonesia. N.p., 2013. Web. 4 May 2015. Wichelen, Sonja van. Religion, Politics And Gender In Indonesia. Milton Park, Abingdon, Oxon: Routledge, 2010. Print. Wright, Astri. Soul, Spirit, And Mountain. Kuala Lumpur: Oxford University Press, 1994. Print. Delacroix, Eugene. Moroccan Horsemen In Military Action. 1832. Print. Gunawan, Hendra. War And Peace. Singapore: National Gallery, 1950. Print. Hofstra University,. The Silk Road And Arab Sea Routes. 1998. Web. 5 May 2015. Saleh, Raden. Six Horsemen Chasing Deer. Jakarta: N.p., 1860. Print.